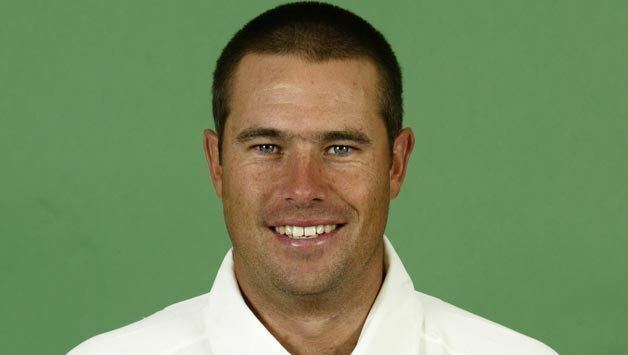 Andrew James Hall (born 31 July 1975) is a former South African cricketer and a former member of the South African cricket team (playing from 1999 until 2007). He is an all-rounder who bowls fast-medium pace, and has been used as both an opening batsman and in the lower order. Prior to making it on the South African first class cricket scene he played indoor cricket for South Africa. 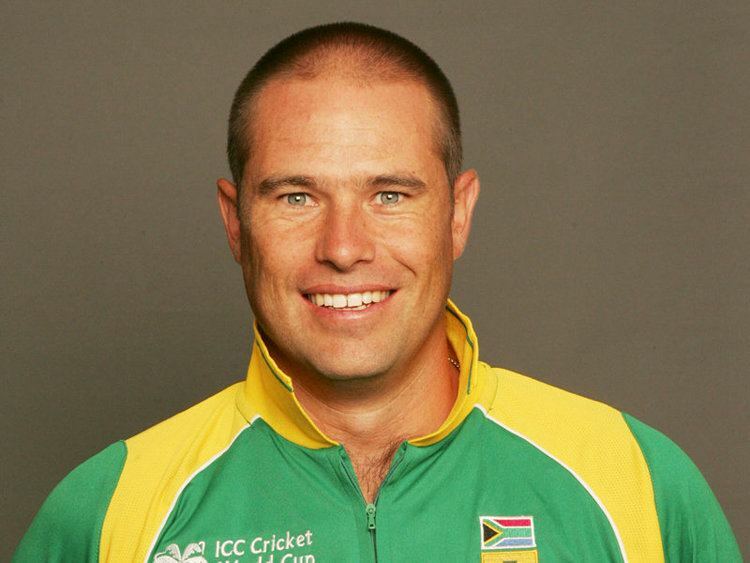 He broke through in 1995/96 and has played for Transvaal, Gauteng, and Easterns. Hall was initially thought of solely as a limited overs cricket specialist and made his ODI debut against the West Indies at Durban in 1999. He was a regular in the ODI side until 2007, taking part in South Africa's 2003 Cricket World Cup squad and the 2007 Cricket World Cup. He appeared in the Test side sporadically and made his debut in 2002 against Australia at Cape Town. Batting at number 8, he scored 70 but did not pick up any wickets in the match. He retired from international cricket in September 2007 and went to play for the Hyderabad Heroes in the Indian Cricket League and was a part of the squad that won the second Edelweiss Challenge. During the 2003 England tour he received a late call-up to the squad and impressed with 16 wickets in the Test series. He scored a match-winning 99 not out at Headingley and became the 5th batsman in Test cricket to have been stranded one short of a hundred. 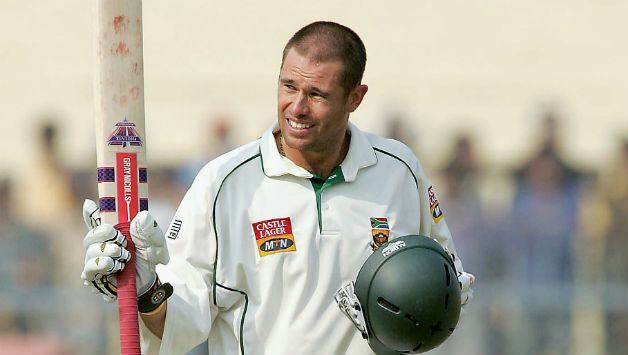 In 2004, due to the absence of the recently retired Gary Kirsten and non-touring Herschelle Gibbs, he was promoted to open the batting in the Test series against India. He reacted to the added responsibility by scoring 163 at Kanpur - his maiden Test century. The century was made against the likes of Anil Kumble and Harbhajan Singh, batting for almost ten hours. 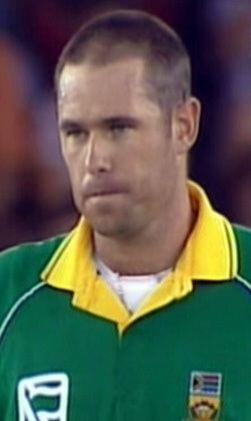 He holds the World Record 8th wicket stand in ODI cricket of 138 with Justin Kemp, made against India in November 2006. His contribution was an unbeaten 56 from 47 balls and he went on to take 3 wickets in the second innings. During the 2007 Cricket World Cup in the West Indies he took his maiden 5 wicket haul (5-18) against England on 17 April at the Kensington Oval, Bridgetown, Barbados. In 2003 he had a stint with Worcestershire and in 2005 he became an overseas player at Kent, returning for a part of the 2006 season before returning to South Africa for their two-Test match series against Sri Lanka. He returned to England in 2008 when he signed for Northamptonshire as a Kolpak player. 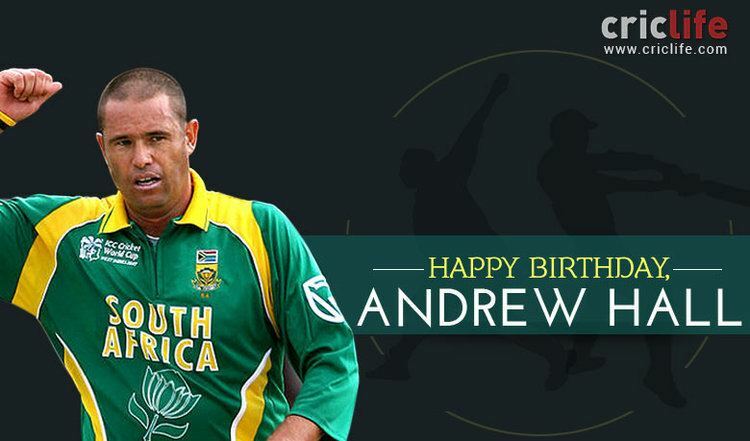 While playing for the Steelbacks, he set a record for the best Twenty20 figures taking 6/14 in 2008. He also achieved his best Twenty20 batting performance in the same game (66 not out). 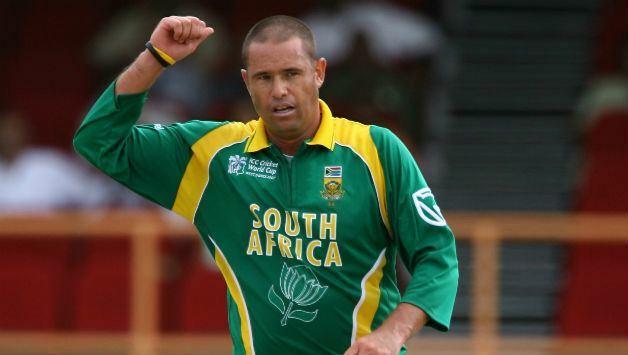 He became captain of the county in 2010 after fellow South African Nicky Boje resigned the captaincy. He remained captain until after the 2012 season when he was replaced by Stephen Peters. During his tenure as captain he nearly led Northants to promotion in the County Championship. 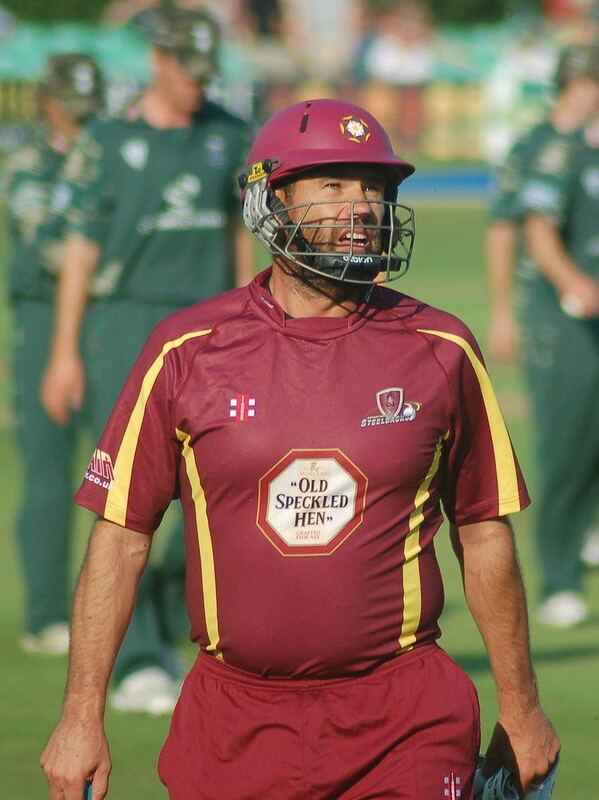 He continued to play for Northants until the end of the 2014 season, when he was not offered a new contract. He announced his retirement from professional cricket shortly afterwards. Hall was the victim of a robbery at an automatic teller machine in 1999, during which he was shot in his left hand. The mugger is said to have fired six shots at him, but the incident has developed into an urban myth in which the extent of his injuries is greatly exaggerated. In 2002, he was driven around in his own car with a gun pointed to his head.